By Royal Doulton. 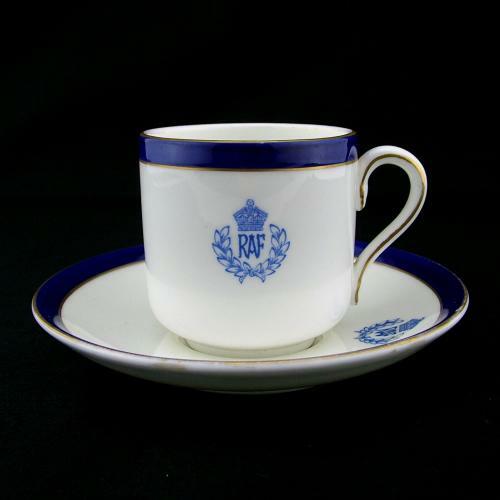 Fine bone china cup with R.A.F. Kings's crown crest. The rim of the cup has a gilt edged dark blue band. Saucer to match. Shows light wear to the gilding otherwise in excellent condition. Cup measure approximately 6cm diameter x 6cm tall. Saucer 12.5cm diameter. Stock code C20575.